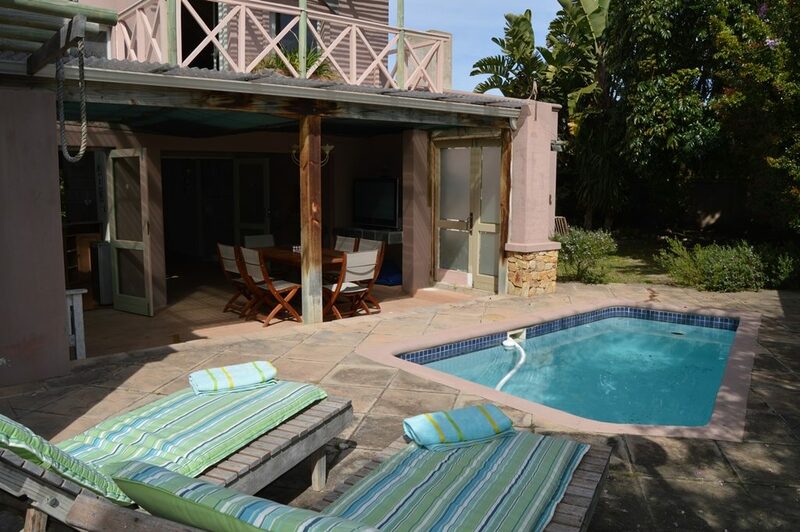 4 Bedrooms/3 Bathrooms – SLEEPS 7 MAX. 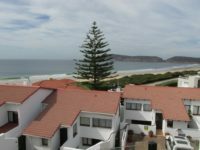 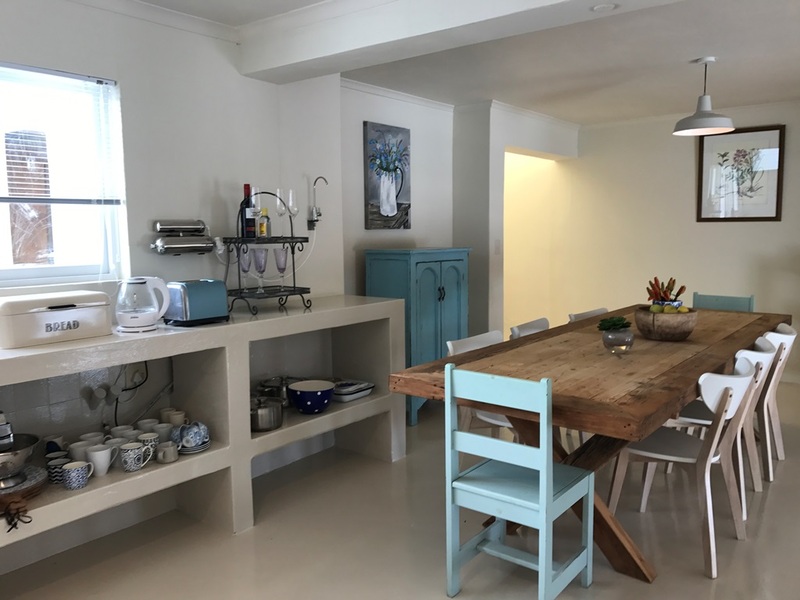 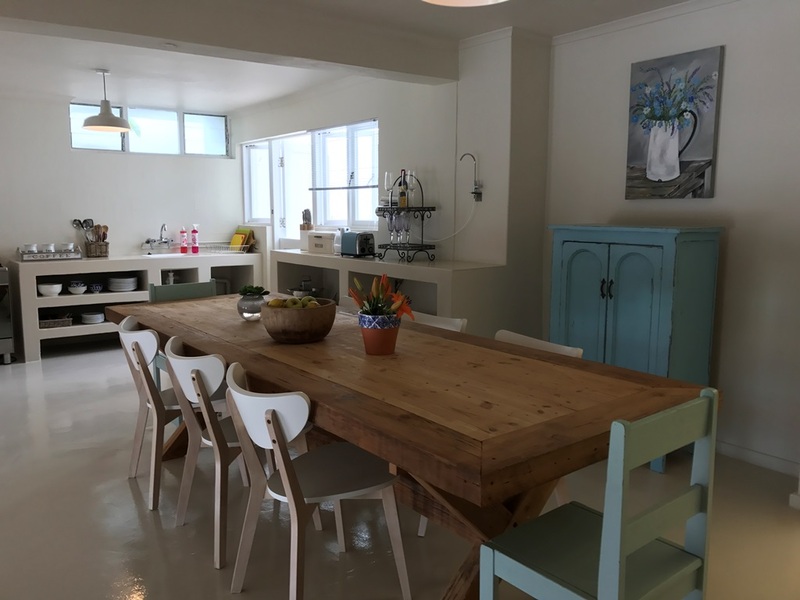 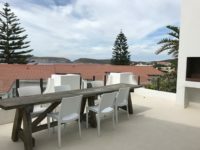 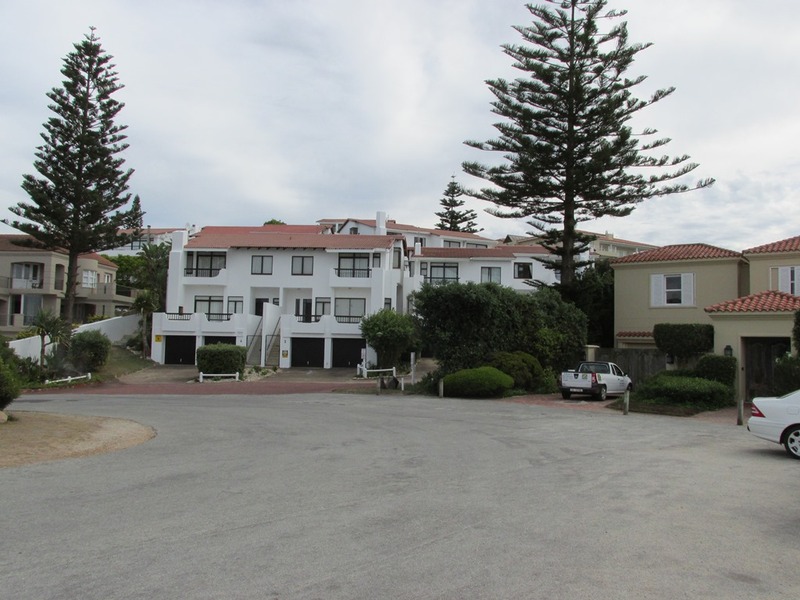 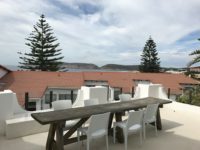 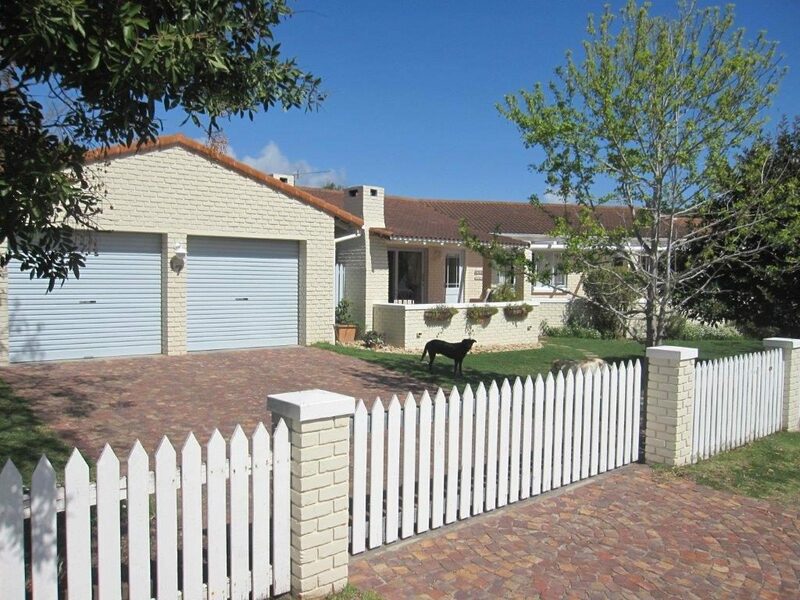 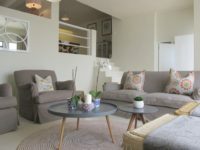 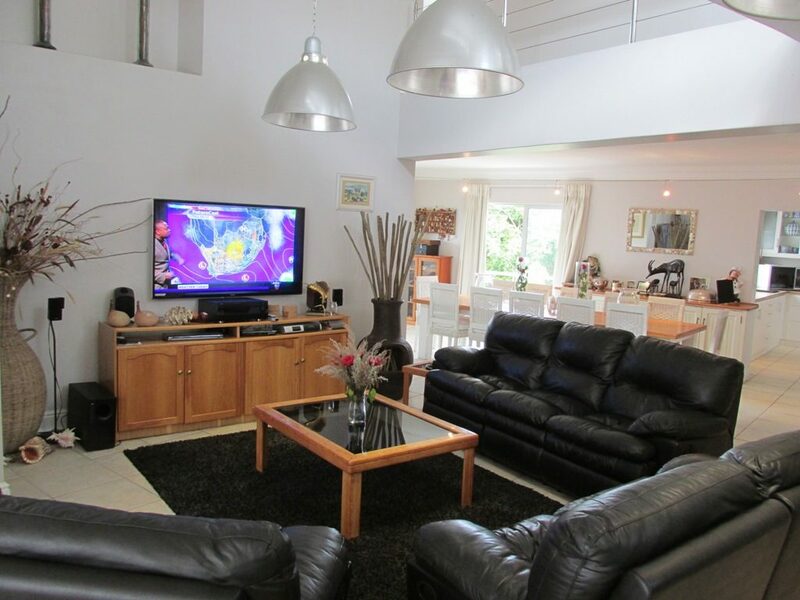 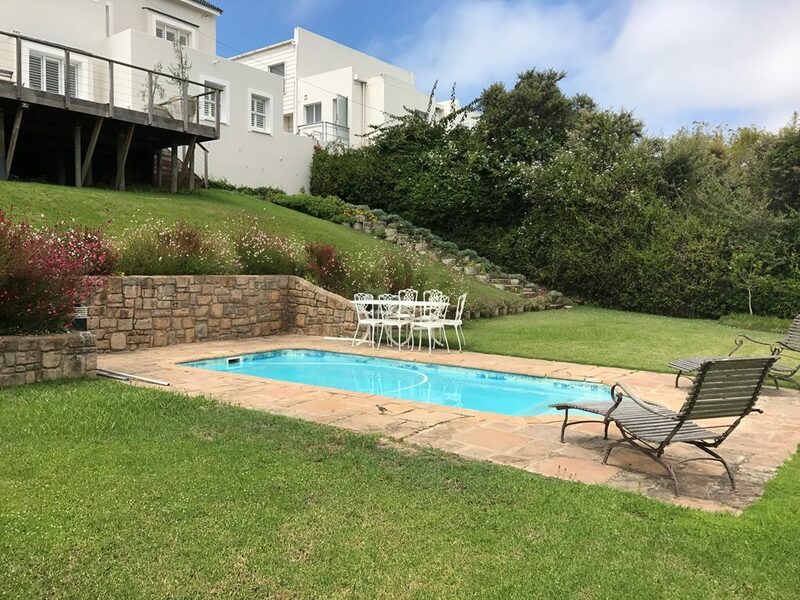 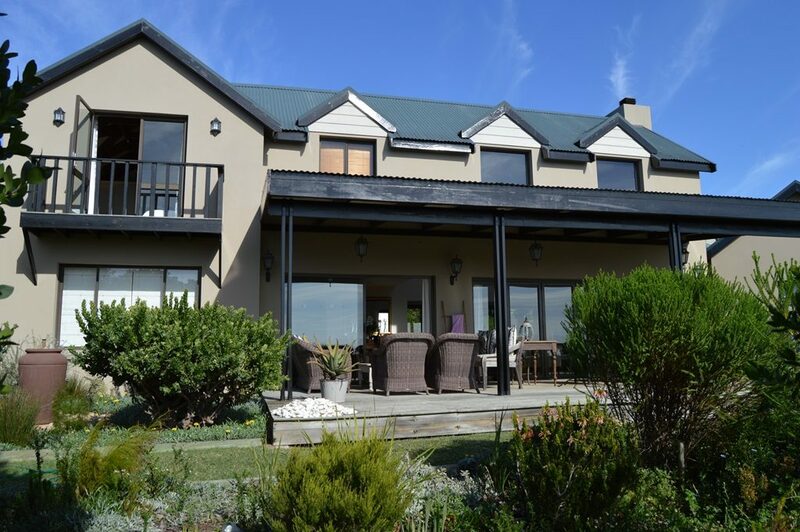 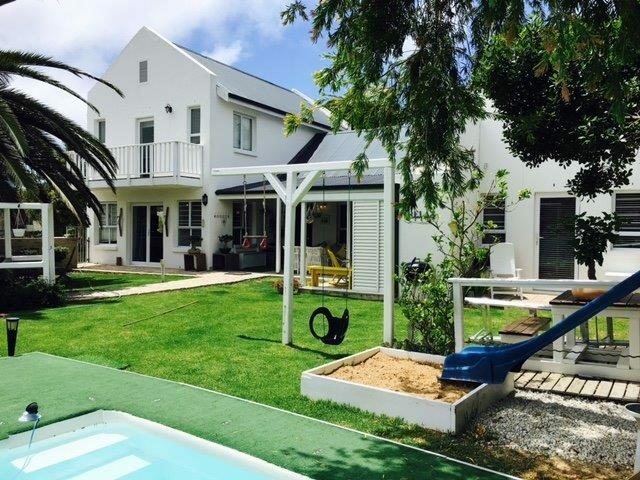 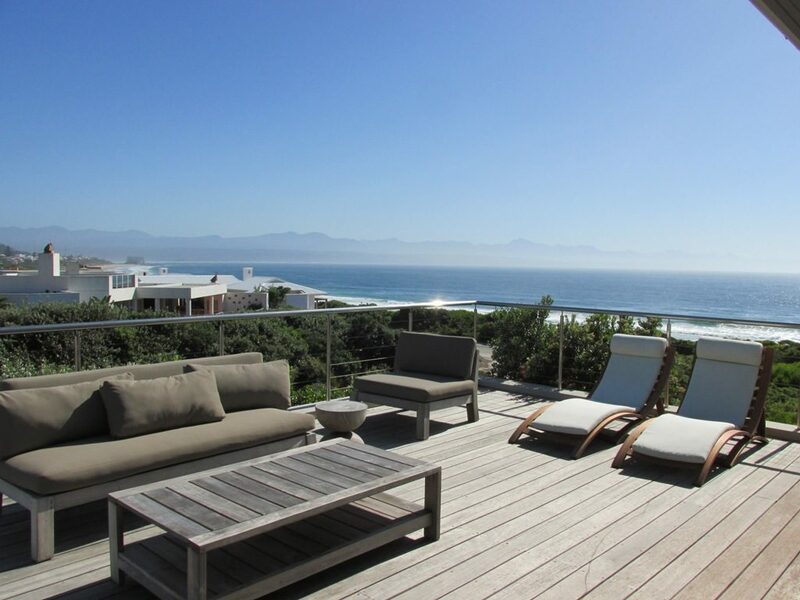 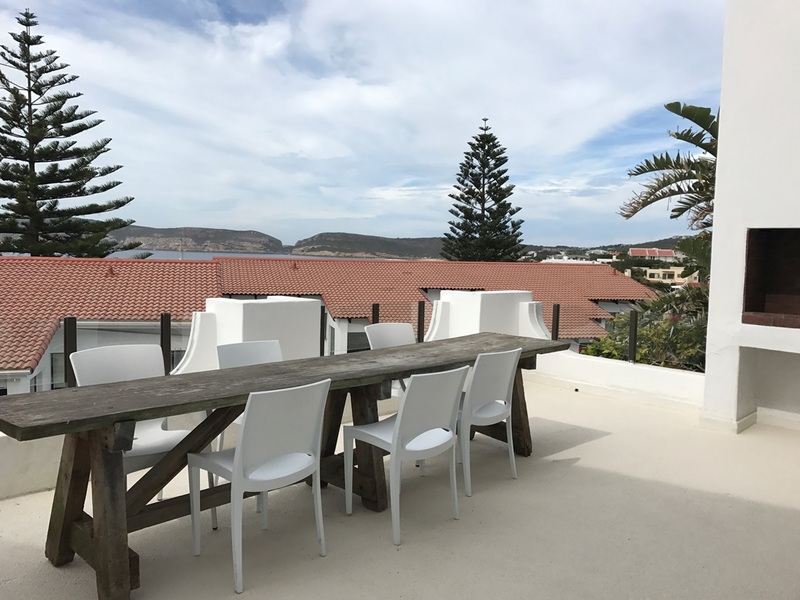 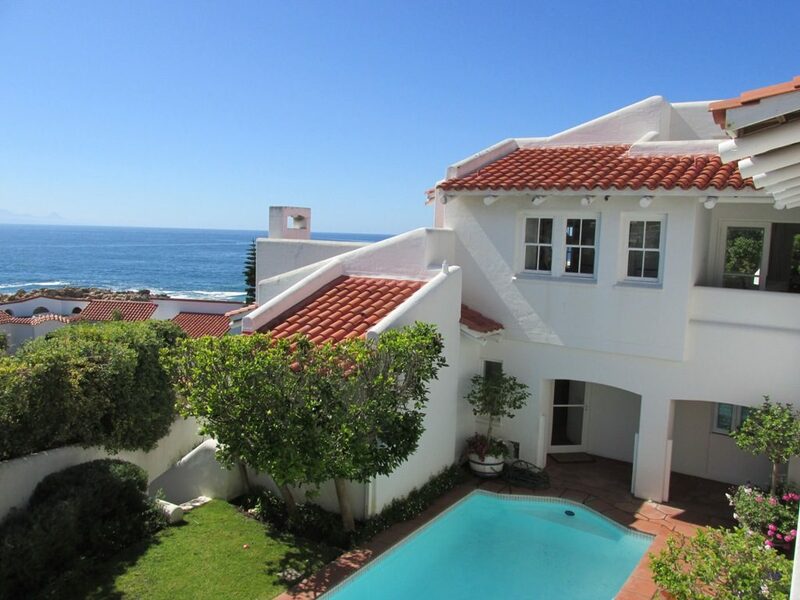 Holiday apartment with sea views and great location to Sanctuary beach on Robberg – less than 100 meters walk. 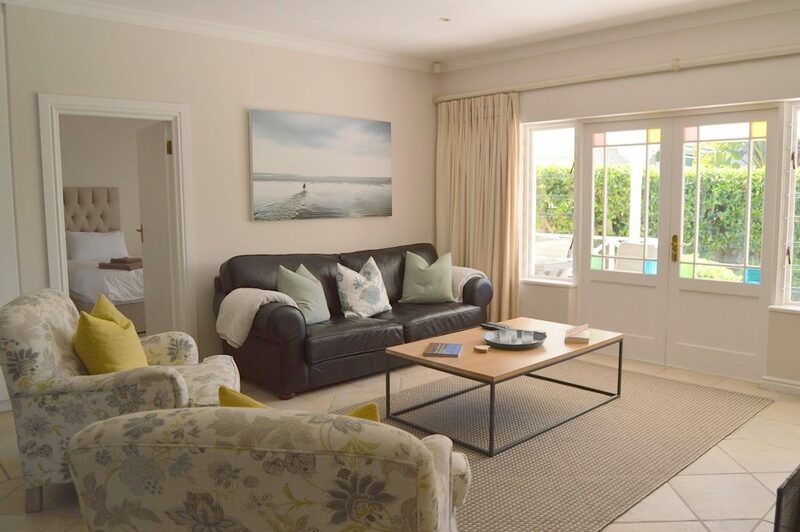 There are two sea-facing bedrooms and another two guest bedrooms. 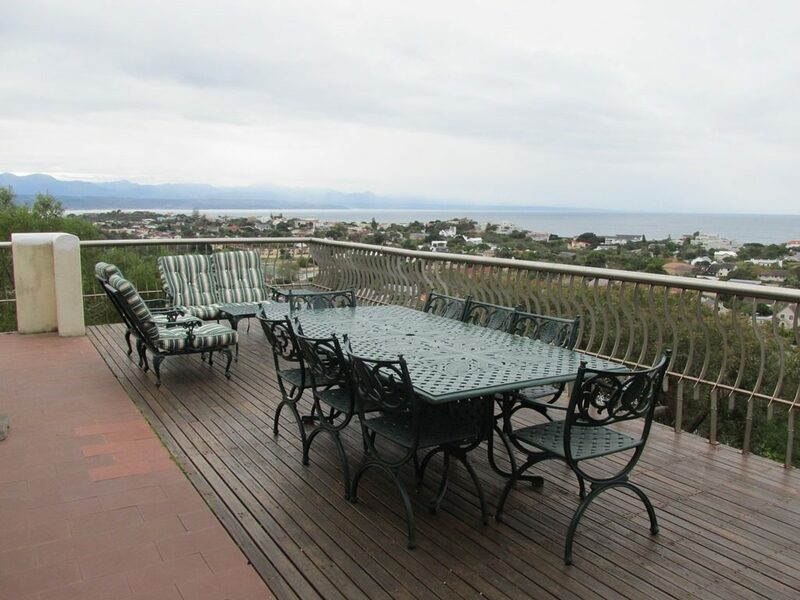 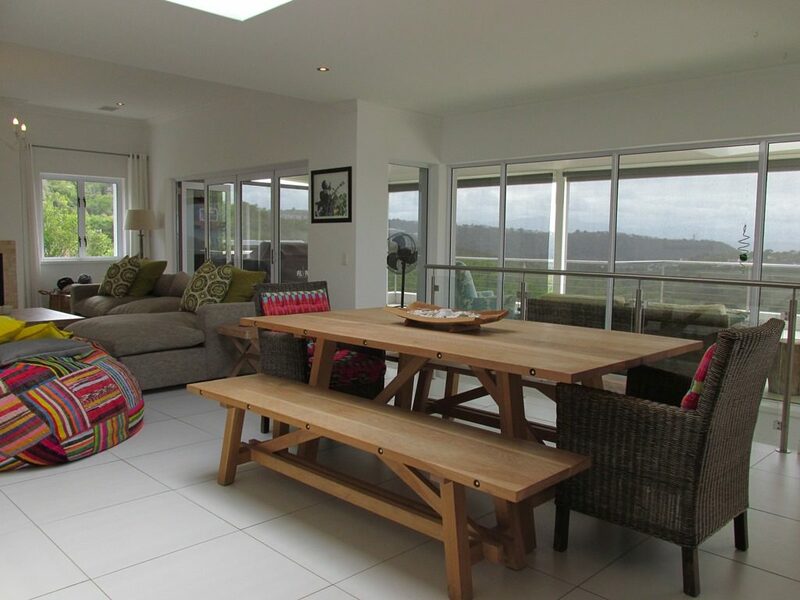 The living and patio-braai areas have sea views. 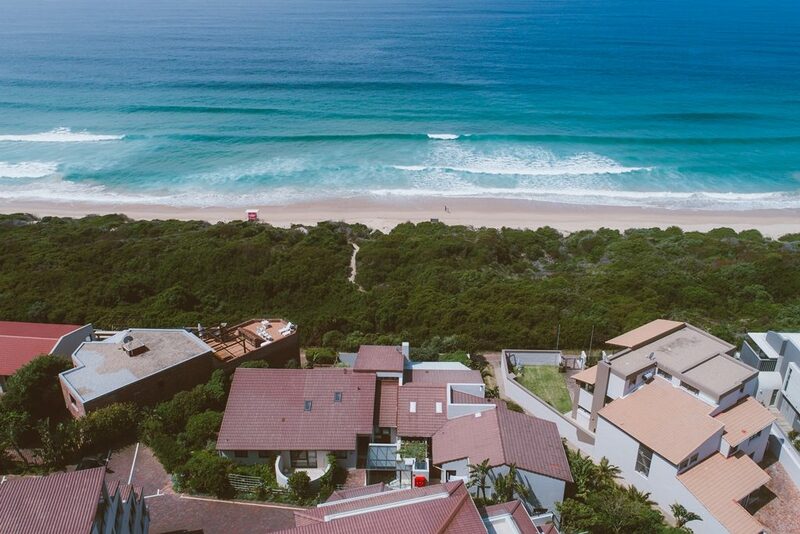 You’re close enough to hear the waves! 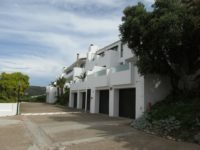 Downstairs: X1 Garage Parking. 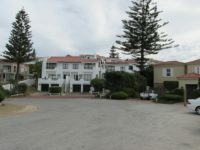 Guest parking, uncovered and unfenced in the complex. 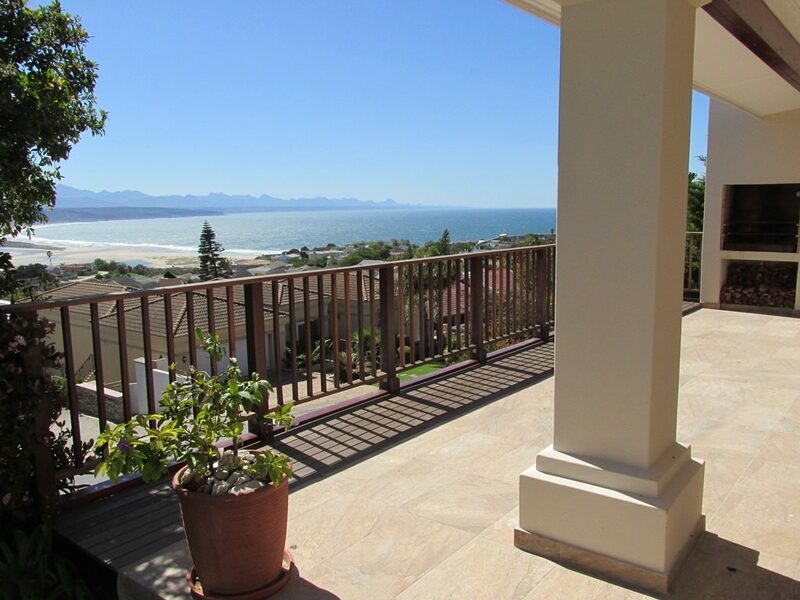 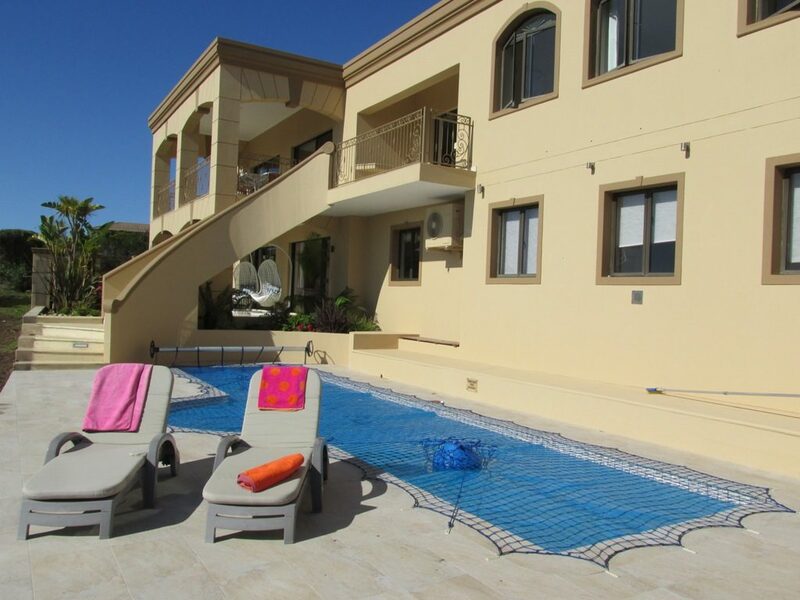 Stairs lead up to the sea facing patio and braai area and front door. 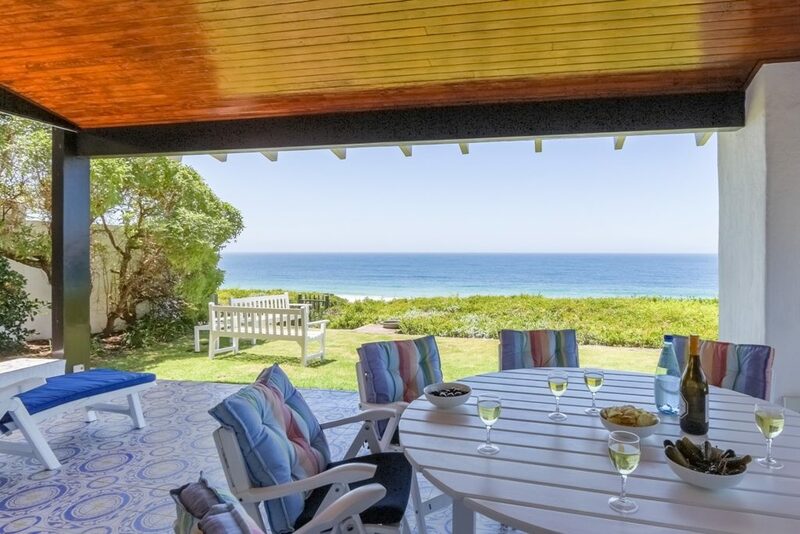 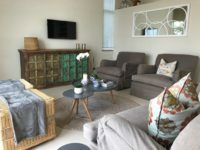 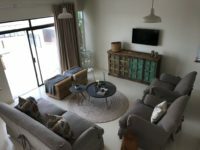 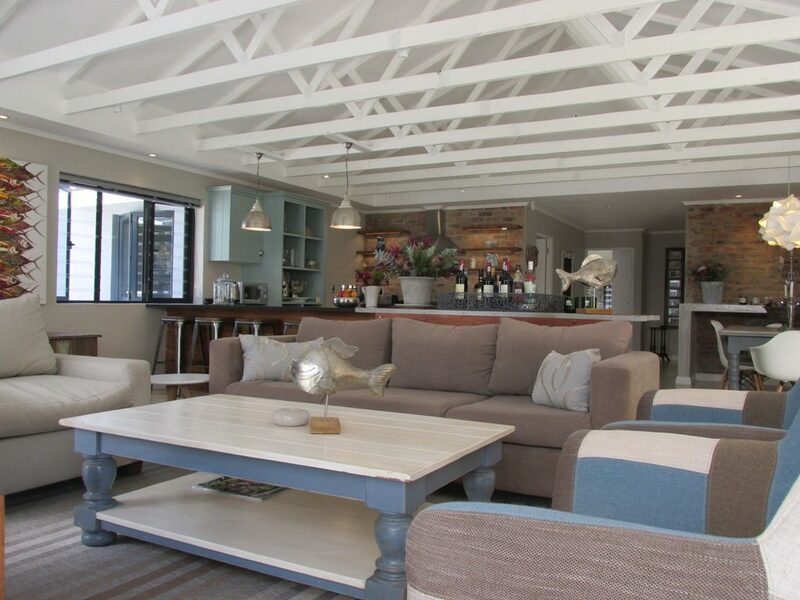 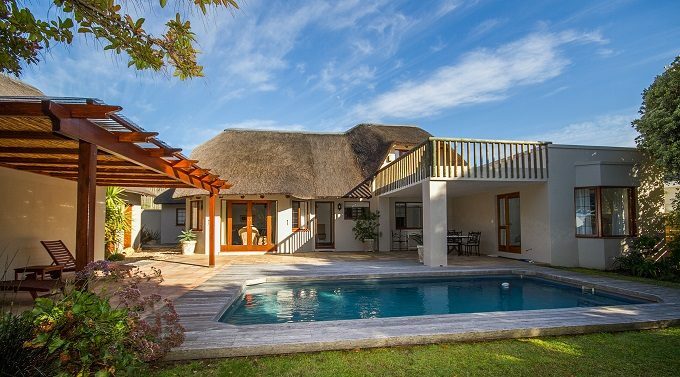 Enter into the TV lounge which opens onto the covered outdoor braai and dining area offering sea and Robberg Peninsula views. 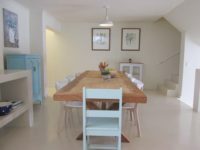 A few stairs lead up to the open-plan dining area which seats 8 and kitchen. There is a sunny sheltered courtyard at the back accessed from the kitchen which leads to the scullery area with X1 fridge/freezer combo and washing machine. 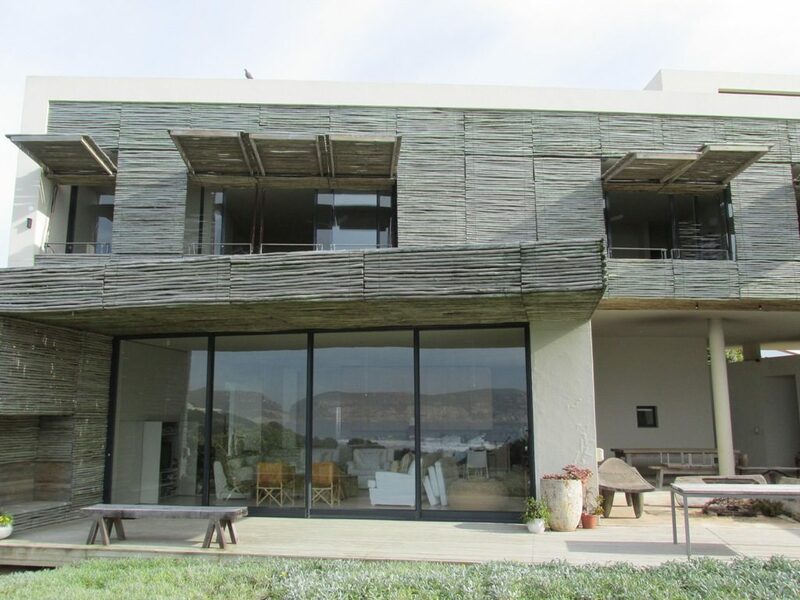 The bedrooms are up another level of stairs. Main Bedroom: Queen sized bed with seaviews. 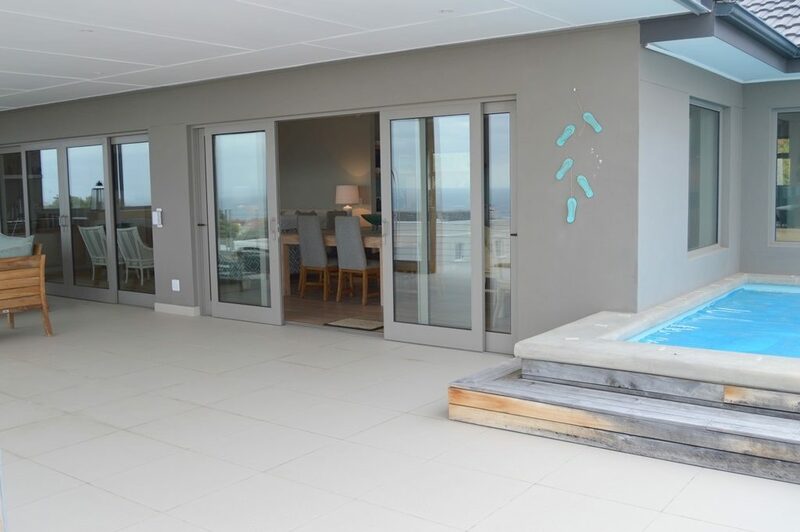 Door to the balcony. 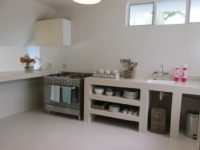 En-suite bathroom: Bath with hand-shower & Toilet. 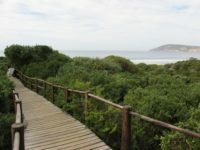 Bedroom 2: X2 Single beds with sea views – bathroom: Shower and Toilet. 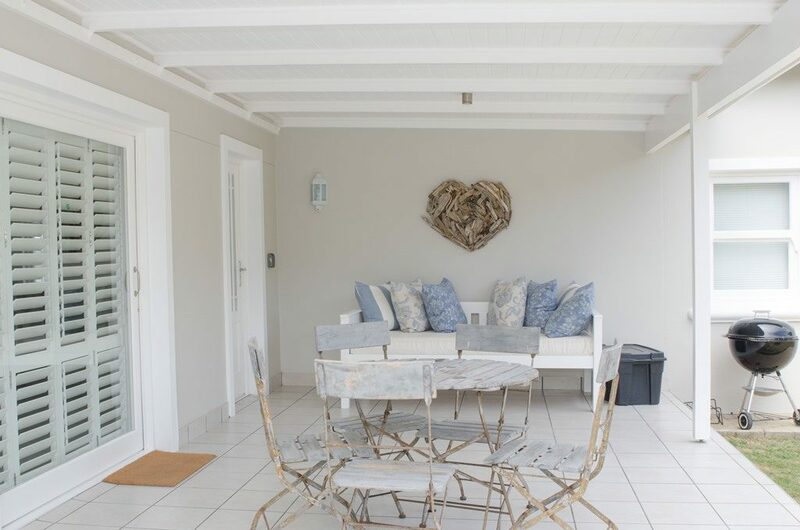 Door leads onto the balcony. 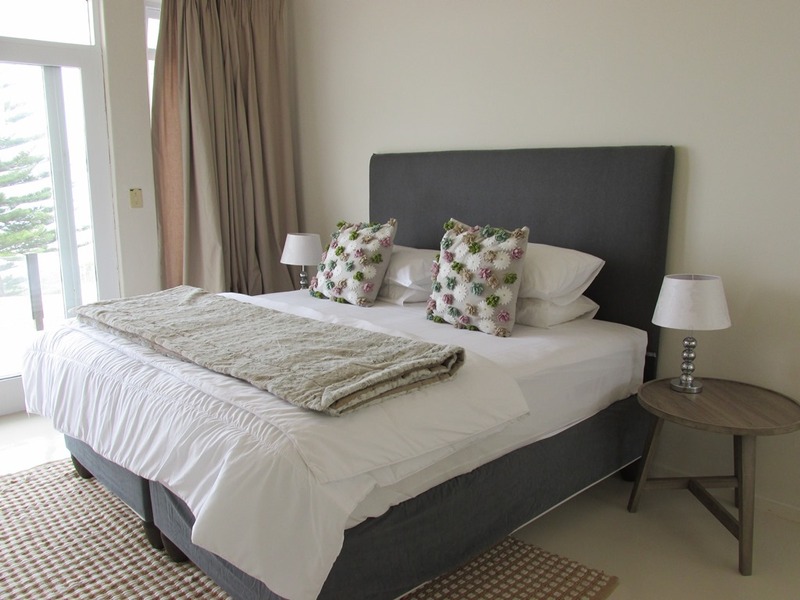 Bedroom 4: X1 Queen bed.